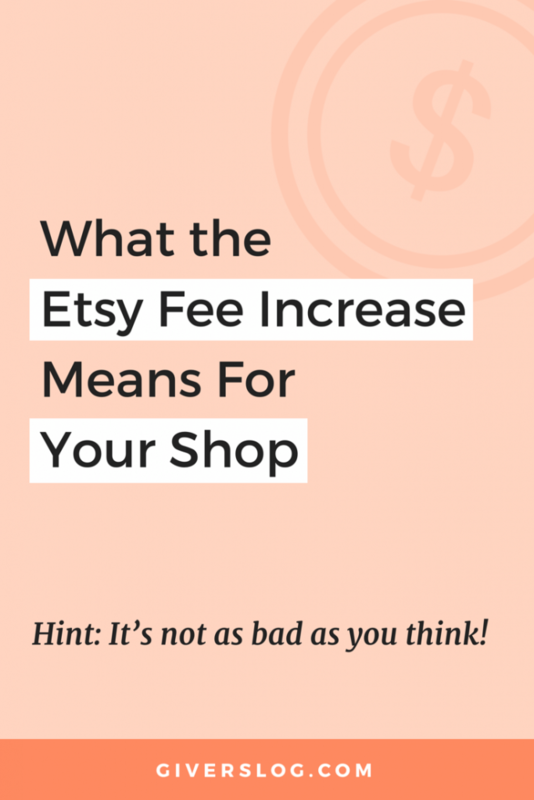 In case you haven’t heard, Etsy is making some changes to Etsy fees. If you’re like me, your first reaction might have been, “Yikes! This is terrible!” But after I thought about it for a minute or two, the small increase in Etsy fees is really not that bad. So, I want you to take a deep breath put on your big girl pants, and keep an open mind. Starting July 16, 2018, the transaction fee charged when a seller makes a sale will change from 3.5% to 5%, and it will also apply to the cost of shipping. This revised fee structure will enable Etsy to make further investments in marketing to attract buyers, enhance customer support, and drive product innovation. Here’s a question for you: Have you increased your prices over the course of your business? I hope you have! Because #realtalk: Etsy is a business too. And before now, they hadn’t increased their prices in 13 years. What other business has done that? Why is Etsy charging a fee on shipping costs? Charging fees on shipping costs removes the incentive for a seller to hide part of their price in an artificially inflated shipping cost. In the past, some sellers may have tried to avoid fees by setting a very low item price and a very high shipping price. This would be — you guessed it — fee avoidance.Just in case this feels unfair, just remember, its also standard industry practice to apply transaction fees to both item cost and shipping cost. Are the fees on shipping meant to encourage everyone to offer free shipping? Good question, especially since Etsy has been encouraging sellers to offer free shipping a lot lately. With the new transaction fee on shipping costs, it’s likely that more sellers will test out the free shipping model. If you can work your shipping cost into your item cost in a way that makes sense for your business, you may want to try it. Etsy has said that their customers find Free Shipping to be a strong incentive to purchase. Do the fees on shipping apply to sellers who do NOT purchase shipping labels through Etsy? Sorry, the 5% transaction fee will now also apply to the cost of shipping, regardless of whether you use Etsy Shipping labels. Will the new premium subscription plans change the way items show in search? Using the paid subscriptions will not influence how a seller’s listings appear in search. Etsy has said that their goal is to make sure that buyers see relevant results on the search results page. 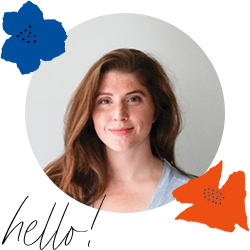 Paid subscriptions won’t influence how listings appear in search results, or how Etsy enforces policies. How will the new fee structure affect you?. Let’s say you have a $10 item with $5 shipping. Under the old fee structure, you would 3.5% on $10, or $0.35. With the new fee structure, you would pay the 5% on $15, or $0.75. That’s $0.40. Not a huge difference! My guess is that even if you have higher priced items or higher shipping costs, you can still afford to raise your prices by a dollar or so, and cover this fee increase without a problem. Of course I prefer paying less. Who doesn’t? But if you are pricing your items correctly in the first place, this small increase isn’t that big of a deal. What do you think about Etsy’s Fee Increase? If you are in business for the long-haul, you’re going to come across obstacles, changes, and challenges from time to time. It’s the nature of business. And the way you can be successful is to be flexible and respond to changes in a way that maximizes your opportunity.